Many fine eateries to get your foodie on. Click here for info. Enjoy the festive after party! Refreshments, live music, cold beverages, and hospitality from Alibi Ale Truckee Public House. See many iconic Truckee locations from your feet! 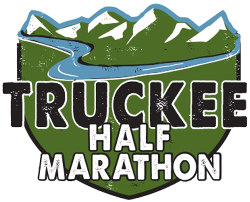 The course leads you on an adventure through the paths, trails and roads of Truckee. 80% or so is paved with the other 20% single track and dirt trails. Or in this case stuff you get. Quality race shirt, finishing medal, and other sponsor goodies.